Certain players are drafted into the organization with one specific set of skills. The Cubs are hoping to take that talent and develop it and improve upon it. Whether it be through nurturing, direct instruction, or just game experience, a player can develop in any number of ways. 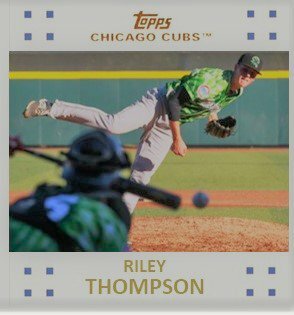 For pitcher Riley Thompson, the Cubs selected him in the 11th round of the 2018 MLB draft. What is evident is that Thompson has a pretty fresh arm. Even though he played three years of college ball, his arm doesn’t have the workload of someone who started over three years. Thompson only accumulated 48.2 innings in his college workload. That’s not a lot. Thompson actually grew up a Cubs fan in Louisville, Kentucky. He went to a private school and was highly sought after coming out of high school. 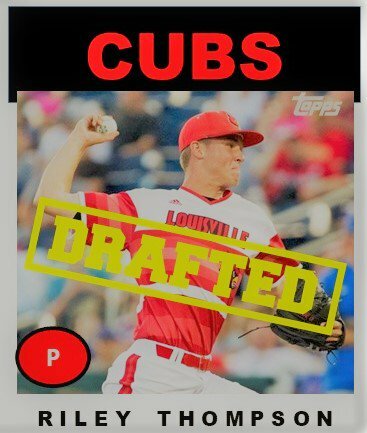 He was drafted in the 37th round by the Reds but chose to go to college at Louisville over the University of Kentucky. He red-shirted his freshman year and began seeing action in the bullpen his sophomore year. What Thompson does have is a fastball that sits in the mid 90s and it’s pretty exciting to watch. He is still developing his secondaries. Usually, you don’t really get a good look at pitchers the year that you draft them. That’s not the case with Thompson this year. In the regular season, he made 9 appearances, 8 of them being starts, totaling 25.2 IP. His last two starts really stretched him out at 4.2 and 5 innings. For the year, Thompson excelled with his over the top delivery and good command on his fastball. He had an ERA of 2.84 and in August he did not allow an earned run in any of his final 4 starts. Thompson struck about 9 batters every 9 innings while walking about 3.20 every 9. His ability to throw strikes could improve. For Eugene, he hummed along with a 61.4% strike rate. He needs to get that bumped up into the high 60s. 48.6% of balls hit against him were ground balls and opponents hit .240 against him, but he stranded 75% of runners. For what looks to be a fresh arm, there is a lot to build on. I like what I see so far. 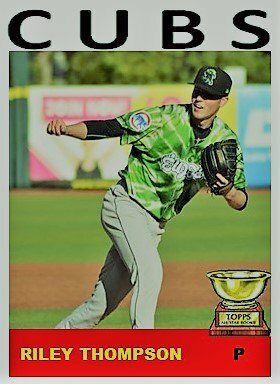 Thompson might be a guy who the Cubs try to build around that one skill. Thompson’s 95 mph heater with command down in the zone is an excellent place to start. That over the top angle is his best friend. I did a film study of the breakdown of pitches he threw in one of his starts. 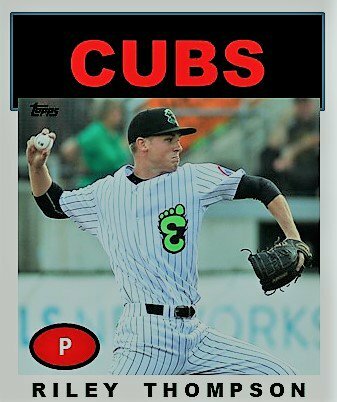 In the first inning against Tri-City, he threw 22 pitches and only 3 were off speed, all breaking balls (not much command of them at that point). That is what minor league pitchers should be doing the first time through the order is to be working on fastball command. The second time around, he should be working in his off speed stuff. Another aspect of Thompson’s profile I liked was that he got stronger the longer he worked. In the first inning, he started out at 90-91 and by the second, his fastball was regularly 94-95. At times, his curve showed some good shape, but he was what I like to call effectively wild. Down in the zone, he was pretty consistent; up in the zone, not so much. As a result, he worked a lot of deep counts and was over 40 pitches in just two innings. Some of these things can be fixed easily with development and experience. He’s got a pretty fresh arm and that is what is going to propel him through the system. Once he starts getting his secondaries over, he will take off. Next spring should be exciting to see what kind of work he puts in over the winter to improve his secondaries and maybe even develop a new pitch to go with his fastball and developing curve.